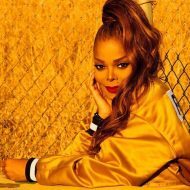 With over three decades of making music under her belt, Janet Jackson continues to wax even stronger and is set to receive the prestigious Icon Award at this year’s Billboard Music Awards showcase this weekend. 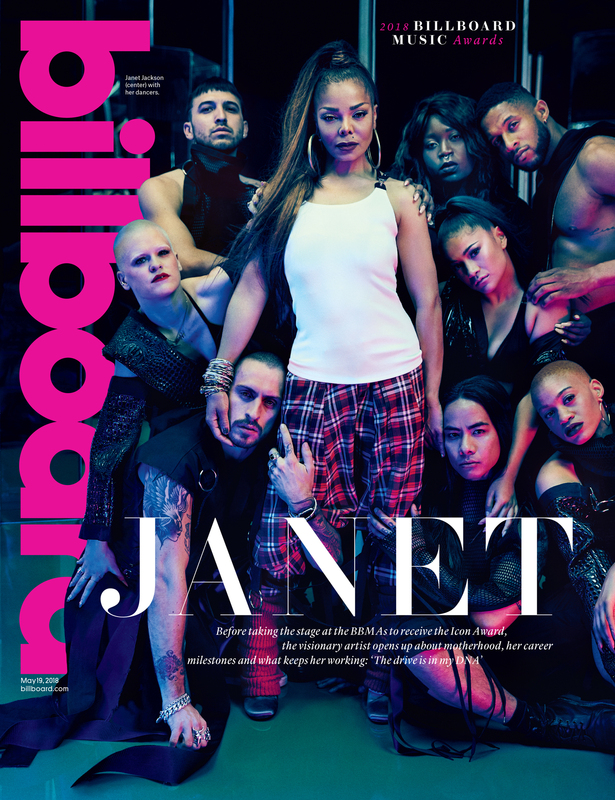 To this end, she covers Billboard Magazine‘s latest release and she opens up to David Ritz on the challenges she faced earlier in her career, motherhood as well as the younger acts that impress her currently. Excitement was in the air. Music was always my heart, and now I was getting to sing my heart out. The songs were good, but they weren’t me. [She only began co-writing most of her songs on Control.] That was a little confusing. I knew I had something to say, I knew I had to assert myself. I also knew I had to go through the painful process of what my brothers had gone through. I had to thank my father for his help and then move on. I had to assert myself. Control was undoubtedly the break-through. But I think the concept is sometimes misunderstood. I’m a believer. I know that God has absolute control. I’ve never wavered in that belief. I don’t mean I don’t get controlling — most artists do. But I also know that turning myself into a control freak goes against my character. I’m much more a collaborator than a controller. So I saw control, even as a 20-year-old, in modest and limited ways. For example, I agreed to be produced by Jimmy Jam and Terry Lewis. That was critical because they were not controlling. They let me be me. They encouraged me to tell my story, express my attitudes and step forward with my convictions. They encouraged me to write. I also had the control to select choreographers and video directors who could channel — and help me shape — my own dance moves, turning them into visual poetry. I didn’t control those wonderfully creative people, and they didn’t control me. It was more about molding fruitful partnerships. And based on those partnerships and the success of Control, I could move on and assert myself even more boldly. Daniel Caesar is proving that romantic R&B is alive and well. Kendrick Lamar and J. Cole are proving that brilliantly original storytelling is one of hip-hop’s great gifts to world culture. SZA is proving that young women still possess extraordinary vocal skills and style. I also have a special place in my heart for Bruno Mars. Bruno was really the first music my son responded to. During and after his birth, I comforted myself with Brazilian jazz, music that always relaxes me. Then when the baby began crawling, Bruno was breaking out big and on the radio all the time. That delighted both of us. Bruno is a throwback to the days when the greatest artists could do it all: write, sing, dance, produce. The drive is in my DNA. I couldn’t lose it if I wanted to, and I don’t. Motivation is something I treasure. Besides, for all its difficulties, this is the life I love. I’m surrounded with a team of dancers, singers and musicians I love. I’m supported by fans that have stuck by me through thick and thin. They mean the world to me. Now more than ever, performing, whether in the studio or onstage, brings me a satisfaction I find nowhere else. And while we’re talking about positivity, let me also say that my son, even in his short 17 months on the planet, has showed me that love, no matter how deeply you believe you have experienced that emotion, can always go deeper. Love is limitless. And for someone like me, raised in show business where self-concern is always a priority, how fortunate I am now to be concerned, first and foremost, with the welfare of someone else. Day after day and night after night, holding my baby in my arms, I am at peace. I am blessed. I feel bliss. In those moments, all is right with the world.